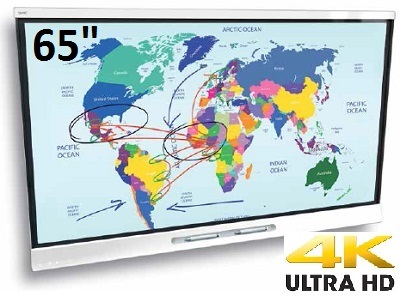 The Smart 6065 Interactive touch panel is the latest product from Smart Technologies, it incorporates a large format 65" commercial Ultra 4K HD LED touch screen with Smarts Interactive Notebook software. The 6050 has been designed specifically for classrooms and is a fantastic alternative to the traditional interactive whiteboard and projector. The 4K ultra high definition resolution shadow free display provides optimal clarity and viewing from any angle.